Johnson & Starley have been innovating for close to 100 years and the result is their QuanTec range of High Efficiency condensing boilers utilising state of the art technology. Since 1922 Johnson & Starley has been providing innovative heating and ventilation solutions to UK homes, all of which have been created with reliability, performance, outstanding efficiency and long term value for money at the forefront. For up to 3 no-obligation, free quotes for a new Johnson & Starley boiler get in touch via our enquiry form now. You’ll receive up to 3 quotes from Gas Safe engineers in your area to compare. 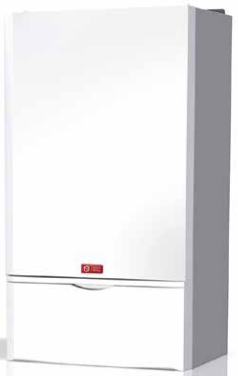 The QuanTec range of combi boilers are designed to only heat the water you need. They take up less space than other types of boiler as there is no need for a separate cylinder. When considered alongside their quiet operation, they are a popular choice with homeowners. The QuanTec range has been designed and built using state of the art technology including the ‘isothermic cool door’ heat exchanger. This gives both great energy savings and has low pollutant emissions. The Combi boiler is available in outputs: 24kW, 28kW. There’s so much choice and lots of factors to consider when looking to change or update your heating system. We are here to make things a little easier; send us an enquiry today and will find you up to three competitive quotes from reputable installers near you. Once you have your quotes you can compare the costs and make sure you’re getting the best deal. Get quotes for a new Johnson and Starley boiler. Evolving on from the standard Combi boiler is the QuanTec HR28C. Johnson & Starley’s innovation achieves exceptional efficiency in gas consumption through the Full Heat Condense heat exchanger which incorporates a flue gas heat recovery system. By two extra coils at the rear of the heat exchanger it utilises the latent heat from the flue gasses and uses this energy to preheat the incoming cold water by 4°C every time a hot water tap is turned on. This enables the HR28C to reach an efficiency level never reached before (110% in DHW mode) and substantial energy savings in hot water demand. In addition the HR28C and HR28CP considerably reduce carbon emissions. All this in the same compact package as a standard boiler. Making the decision to change or update your heating system can be a tricky time. It can be a substantial long term investment in your future comfort so it’s important to get things right now. If you could benefit from some advice send us an enquiry today. We can put you in touch with up to three highly recommended installers who will provide you with comparative quotes. For homes needing to retain a storage cylinder for hot water the QuanTec System boiler is the answer. There is no need for an expansion tank in the loft as it utilises a pressurised unvented hot water cylinder (usually kept in the airing cupboard). The isothermic heat exchanger guarantees you a constant supply of hot water with low running costs. While it may be tempting to go with the cheapest option we strongly recommend that you take the time to ensure you choose the right system for you and your home. Quick wins now may mean costly repairs or replacements down the line whereas the right choice will improve your energy efficiency and, most importantly, save you money. We can help simplify your decision process by providing you with 3 no obligation, free quotes from professional installers in your area. Get quotes for a new Johnson and Starley boiler. If you’re looking to replace a traditional heating system the QuanTec Regular boiler may be the solution as it will be compatible with your existing radiators and older pipework. It’s particularly suitable for homes with a high hot water demand and multiple bathrooms. As with all the other models in the range it features the isothermic heat exchanger and the latest in technology, so it’s easy to use and will give you peace of mind with its minimal maintenance and low running costs. Available outputs: 16kW or 24kW. If you think a Johnson & Starley boiler could be the one for you, it may be time to find an installer to get your new system up and running. Installation costs can vary so make sure you get comparative quotes. Let us take the hard work away and send us an enquiry today. Get quotes for a new Johnson and Starley boiler. It’s important to keep your boiler in the best possible condition with an annual boiler service by a professional engineer. This will ensure the boiler can operate as efficiently as possible, keeping heating bills to a minimum, and that there are no potential safety issues to be concerned about. A boiler service is also a great way to catch and fix small repairs before they have the chance to worsen over time and cause an expensive breakdown. Find out what’s involved in an annual boiler service, why it’s so important, the benefits and how much they cost in Johnson & Starley Boiler Service. Every boiler manufacturer offers a standard warranty with their boilers which last between 1-10 years. The warranty is your insurance policy and means if a fault develops the manufacturer will resolve it within a specified time frame. Some warranties include both parts and labour while others may only cover parts. The most important thing to remember is to get your boiler serviced by a Gas Safe registered engineer every year as failing to do so is likely to invalidate your warranty. For more detail about this brand’s warranty (including the small print) take a look at Johnson & Starley Boiler Warranty. Even the highest quality boiler can develop faults and problems as they age. Some are minor issues you may be able to handle yourself but most will need a Gas Safe registered engineer to diagnose and repair the problem. To find out if there are any common problems associated with this manufacturer you can read our guide to Johnson & Starley Boiler Repairs & Common Boiler Problems. Error codes may appear on your boiler’s display; it’s your boiler’s way of telling you that something is wrong. Each manufacturer uses a different coding system to help an engineer to diagnose a fault. In some cases it may be a simple issue such as low pressure which you can adjust yourself but more technical faults will certainly need a professional. We’ve put together a list of error codes for all Johnson & Starley Boilers to help you understand what’s wrong before you contact an engineer.